All industries evolve and improve over time, and used clothing collection is no exception. Textiles only impact about 5% of landfill volume, and therefore haven’t been a priority for legislators. Until recently, the textile recycling sector operated under the radar. This lack of industry awareness meant unsustainable business practices were developed that were bad for the environment, inviting some dishonest participants into the industry. Additionally, lack of awareness among law enforcement meant the dishonest operators were able to dominate the sector for a period of time. Finally, lack of awareness by media and the general public led to some negative misconceptions about the sector, which had a negative impact on charities that benefit from textile recycling and contributed to languishing textile waste diversion rates. Fortunately, forward thinking industry leaders like Textile waste Diversion, are fostering positive shifts that will help transcend this lack of awareness and move the industry forward in a positive way. Things like collection stream auditing systems, competition codes of conduct, sustainable business practice guidelines, bin registration systems and transparency mechanisms are all being developed that hopefully will become industry standard across the sector. The most exciting development in the sector is the communication between competitors. 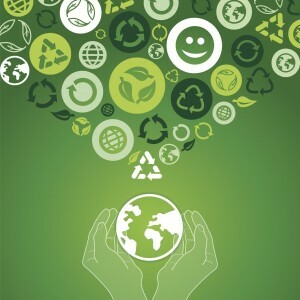 For the first time ever, charities and private industry clothing collectors, graders and recyclers are productively communicating, sharing solution oriented ideas to help mutually overcome some of these industry concerns. A greater effort to educate law enforcement and the media is also being encouraged. By working together, we can all elevate the industry standard to one that protects integral industry participants, educates the general public and empowers law enforcement. In Ontario alone, the used clothing sector is a billion dollar industry. Considering that only about 8-12% of textiles are reused/recycled, there is plenty of room for growth. As a part of the waste diversion sector, for every 1000 tonnes collected, seven full time and 15 indirect jobs are created. This is a sector that has a dynamic potential to energize our economy. The success of this sector also benefits very good charities that benefit from this type of fundraising, adding a positive social benefit to an already beneficial industry. Together we are creating a community driven, green future. < York Region & City Of Markham are the Sultans of Green!